It took only a few bars into Daniel Meade’s live show to understand and appreciate what he is all about. In a country music community fragmented on both sides of the Atlantic, the portion true to the spirit and core continues to follow a path laid out by history’s pioneers and trailblazers. With a helping hand from likeminded souls across the pond, Daniel lays claim to the British (or Scottish to be more precise) rights with an excellent new album glorious in evocative re-creation and rich in ideal. 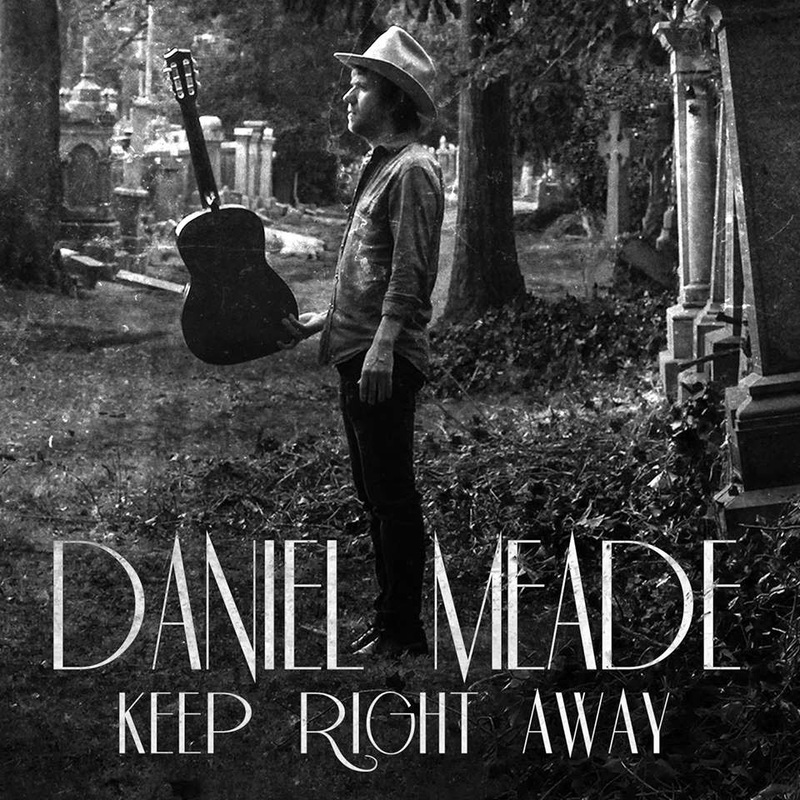 KEEP RIGHT AWAY may have been recorded in Tennessee with many highly respected contributors but it has its heart firmly in Glasgow and is a fluid flow of ideas right from the mind through to the pen of Daniel Meade. 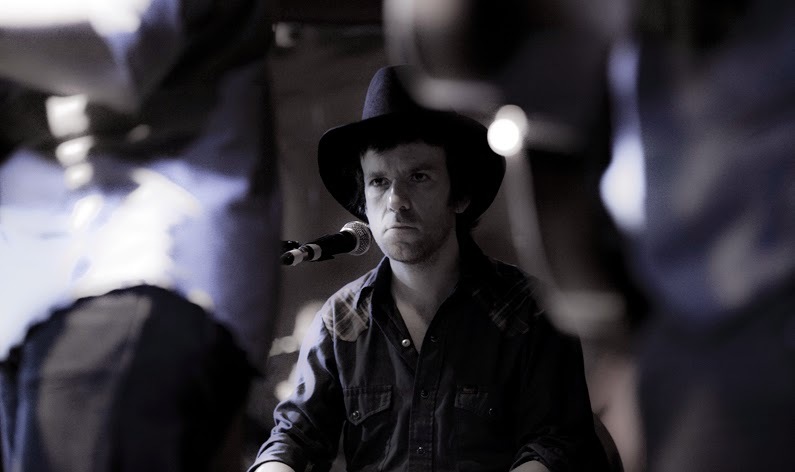 While it is actually Daniel’s second full length release, his recent support slots in the UK for Sturgill Simpson and Old Crow Medicine Show have raised the profile and brought in a raft of praise and plaudits. When seeing Daniel support and back Sturgill on a stifling summer’s evening in London, an image of Justin Townes Earle flashed across the mind with all the poise and stature of a sincere artist. That is certainly a fair introduction to a performer. His last minute replacement support slot for Old Crow’s recent Glasgow gig probably owed as much to his connections with the band and their stamp of style resonates all over KEEP RIGHT AWAY. Among the stateside luminaries helping out, Old Crow’s Morgan Jahnig handled the production duties while Cory Younts and Chance McCoy joined the merry band of players and vocal contributors which extended to others with British connections such as Chris Scruggs and Diana Jones. Obviously Daniel still worked closely with his sidekick Lloyd Reid who does a sterling job both in the studio and on stage. The relentless beat of bona fide and credible roots music rarely pauses through a rampaging thirteen tracks with a well-earned pit stop occurring when Daniel and Diana Jones team up for a dreamy delectable duet ‘Help Me Tonight’. This song featured on a recent EP release with the album’s lead off number ‘Long Gone Wrong’, a rip roaring song with more than a hint of Waylon Jennings in the chorus structure. There is an unashamed respect to the past running through the veins of this top notch record with visions of ‘Gimme a Draw’ being lifted straight from the 50s in the style of Lefty Frizzell. On a breathless record given a lightly produced single take edge to it, you feel the studio presence of Shelly Colvin on ‘Not My Heart Again’ and the authentic twist to the opening and closing segments of the rousing anthem ‘Sing it Loud’ with fiddle player Joshua Hedley featuring prominently. There are not one but two references to blues in song titles with both ‘The Hangman Blues’ and ‘Rising River Blues’ joining the fun and contributing to a record that refuses to relinquish its hold on your musical attention. On the UK circuit you are coming across more and more young acts inspired by the likes of Hank Williams and a sound timeless in appeal. The upcoming biopic may help to push this along and if these artists can follow in the footsteps of Daniel and produce an original album as good as KEEP RIGHT AWAY then the future is secure. This record is the real deal and perfect for an up to date fix of real country music.